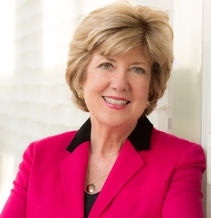 Director since 2012, as President and CEO of South Carolina ETV and South Carolina Public Radio, Linda O’Bryon oversees a statewide network of 19 TV and radio stations and an education service reaching schools throughout the state. Under her leadership, the network has launched a number of national programs including 180 Days Hartsville, America After Charleston and the award-winning SCETV Presents series, A Chef’s Life, all on PBS. Other national programs have included The Education of Harvey Gantt, A Woman on Paper and the NPR series, Song Travels with Michael Feinstein. O’Bryon joined SCETV in 2010, and in that time, the network has opened a new state-of-the-art radio production facility, completed a major renovation of the ETV Telecommunications Center in Columbia, reopened a Beaufort studio, and expanded local coverage on SC Public Radio, with reporters based in Columbia and Charleston. Ms. O’Bryon is Vice Chair of the PBS Station Services Committee and Chair of the Working Group on Unserved Areas. She also serves on the PBS Executive Committee and the Investment Subcommittee. She previously served on the Finance Committee.